Healthy Family Connections Podcast is available on iTunes. New episodes are published weekly! In our 100th episode for the #HealthyFamilyConnections podcast, Neil helps Mary deal with her chronically critical mother. In this episode, Neil responds to a mom who wants to know how to engage her son in a healthy dialogue about his own readiness for privileges. How do you get a preschooler with separation anxiety out of the car and into the classroom? 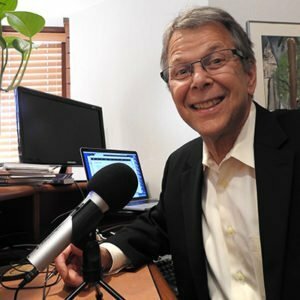 In this episode, I address this parent/teacher concern after consulting with Joe Newman, author of Raising Lions. Control battles doesn’t have to be an aggressive fight all the time. In this podcast episode, Patti is in a passive control battle with her teenager who shuts down when he is angry instead of expressing his feelings. What should she do? Is Hurtful Language Verbal Abuse? When do we use the word “abuse” to describe what is going on in a relationship? In this episode, I respond to Dianne’s concern on calling out verbal abuse in last week’s podcast. With the help of Patricia Evans’ book, The Verbally Abusive Relationship, we will be discussing several factors that constitute abuse and how we can deal with it. Marriage is a huge transition for anyone, but if a couple doesn’t learn 2 essential skills, it can be a disaster. In this podcast episode, I will explain the vital importance of couples needing a “learning and growing” attitude in order to build the skills for managing negative feelings and life problems.